Aromatherapy as a healing modality has been practised for thousands of years but it is only in the last century that it has become scientifically validated. 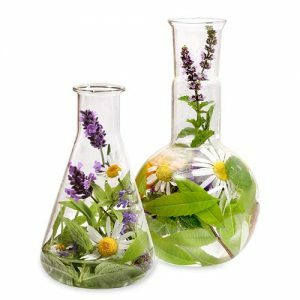 Aromatherapy, put simply, is a therapy using aromas. These aromas are called essential oils and are extracted from herbs, grass, bark, flowers, resin, peel, roots and various other plant sources. Steam distillation is the most common method of extraction, which leaves two distinct liquids – floral water and the essential oil. Some companies bottle and sell the floral waters as well as the essential oils. An essential oil is highly concentrated, sometimes 70-100 times the plant it is has come from. The key thing to remember with aromatherapy is less is best. Only a few drops are needed to make a difference. There are many fantastic ways to use essential oils including massage, vaporisation, diffusing, bathing, compressing, inhalation, footbaths, spritzer and, occasionally, directly. Here is a quick reference blending chart to give you the precise number of drops to use for each method of use for a healthy adult. Less is required for babies, children, elderly and pregnant women. It is important to measure accurately, to label all blends, store your essential oils in glass (preferably amber or cobalt) and, again, be aware of all cautions. The key when blending is to make sure you are absolutely delighted with the combination. That way you are most likely to use it. Here are 10 of my favourite essential oils for the skin and some of their properties. Chamomile : Soothes dermal inflammation, relieves allergies, excellent for eczema, dermatitis and burns. The most anti-inflammatory of all the oils. Gently sedating, calming and soothing. Frankincense : Regenerating and rejuvenating on prematurely aged or mature skin, it is healing and repairing. Comforting and fortifying, deeply relaxing with a drying up effect. Geranium: Geranium normalises skin imbalances and promotes healing to skin disruptions. It’s great for dry eczema and dermatitis, and helps balance sebum production. A great regulating oil, it brings balance to hormonal change and helps balance mood swings. Lavender: Lavender is the most nurturing and soothing oil. It is gently sedating, relaxing and calming. An excellent firstaid remedy, it is great for bites and stings, relieves itchiness and irritation, and helps activate the immune system. It heals scalds, burns and scars, is soothing and healing to dermatitis, and acts as a cell regenerator. Orange: Orange is cleansing to oily skin, excellent for softening smoker’s skin and hardened skin affected by sun damage. It helps relieve mild headaches and mild insomnia. It is helpful for nervous conditions and is refreshing and uplifting. Manuka: Manuka is a highly antibacterial oil, excellent for body and skin infections, acne and sensitive skin. It is both healing and soothing and helps stabilize skin conditions. It is one of the most anti-fungal oils. Tea Tree: Cleansing and healing, Tea Tree is one of the most antibacterial and antiseptic oils. Excellent for treating colds and infections, acne and wounds this purifying oil is also wonderful to increase energy, vitality, strength and wisdom. Sandalwood : Sandalwood is soothing to dry and cracked skin and promotes elasticity. It helps strengthen the adrenals and soothes a sore throat. We find it a very strengthening and calming oil. Palmarosa: Palmarosa is antiseptic, hydrating and regenerating, excellent for dry and mature skins. It helps in treating stress-related disorders and is calming and relaxing. Rose : Rose oil is excellent for dry and mature skin as it rehydrates and rejuvenates and promotes health and vitality in the skin. The great healer of the heart, it is balancing, nurturing and comforting and brings with it physical and emotional stability. Sedative: – induces sedation, calms nervousness, helps relax. Stimulant: – produces temporary increase in functional activity, provides stimulus, quickening or excitement. Anaesthetic: – reduces sensitivity to pain and has numbing effect. Antiseptic : – reduces and prevents infection and inhibits the growth of bacteria. Cytophylactic : – enhances cell renewal and regeneration. Diuretic: – causes increased flow of urine. Expectorant: – encourages secretion of mucus in the airways. When it comes to using essential oils for the skin it is important to remember that all skincare preparations should encourage harmony and balance in order to address the primary needs and to support its natural functions. The skin reflects and is an expression of ourselves. How we look after the skin, what we subject it to, what we feed our bodies, how we treat it and what we feel and think will all be reflected in the skin’s appearance and function. If you want to use the many facets of aromatherapy for good health and for beauty needs, it is imperative that you use high quality pure essential oils and cold pressed base oils. These are more likely to give the therapeutic response you are seeking. Stress and relaxation are almost complete opposites. The exhilaration of a challenge or the excitement of an adventure are positive stresses which gives us the ‘high’ of living, but when these become heavy demands, stress can work against us instead of for us. Your face is one of the first places you – and your friends – will see the tell-tale signs of demanding stress in your life. Essential oils can also be a fantastic tool in helping to maintain a more balanced lifestyle, enabling you to move between the two stresses good and not so good, and to work with your intrinsic natural rhythms, enabling you to constantly restore the energy you give out. Always use the correct numbers of drops for each method of use. Be mindful of how concentrated they are and be appreciative of the gifts that they are from nature. By Kim Morrison, Aromatherapist of 30years. Found of Twenty8 essential oils.